I know it's been a while, but in Oct I am going to start my open/FREE crops at my house again and I'm hoping to get interest in starting up the workshops again, too! I won't be working full time - instead I'll be going to Grad School full time! lol. So, I will post details soon, but I'm shooting for the first night to be Sat, Oct 4, probably from 2 or 3 until we're done! Save the date!!! I can't wait to get going with you all again!!! 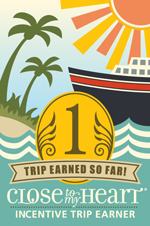 Amazing travel albums using the Cricut® Artbooking Collection! Some clever ideas for unique projects using the Cricut® Artbooking Collection! Team layout ideas using the Cricut® Artbooking Collection! Ideas for using scribbles in your projects! Check out our Oodles of Doodles stamp set! Great ways to make flat shapes 3-D! Make wonderful ornaments or banners! More ideas for the Base & Bling collection! Make your own jewelry! Ideas for our Hip Pics Album! Check it out! Some great ideas for this "girly" pages we need to make! Great ideas for using your stamp sets in ways you might not have thought about! Check out this amazing cartridge on my website! Even better, get it for FREE this month by joining my team! Achieve beautiful details using some of our great tools! The markers are changing soon, so be sure to get the ones you want now! Ideas for great party favors! Great idea for an album with lots of memorabilia! Instructions for using the embossing folders with our papers! Great ideas for those special photos! Great way to get a lot done! I know I could use this to try to get caught up on some stuff! Cute Springtime projects! A welcome change from the crazy winter we've had this year! Ideas for some of our new Base & Bling products. More great projects using the Artbooking Collection! These would make cute gift bags! 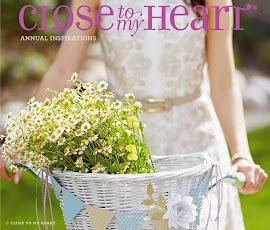 Join Close To My Heart as an Independent Consultant April 1–30, 2014, and receive your favorite "art-full" Close To My Heart Cricut® collection FREE! Our New Consultant Kit is just $99 and comes packed with nearly triple the retail value in products and supplies to help you succeed. Plus, when you qualify for the Straight To The Top program, you will be refunded the price of your New Consultant Kit. 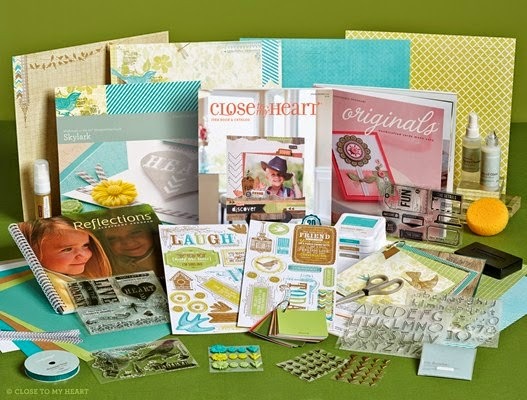 Select your FREE Cricut® collection—retail priced at $99—when you order your New Consultant Kit and watch your new business soar! Inspiration Mini Albums using your Artbooking Collection! Another AWESOME CTMH video tutorial! Fabulous mini albums using your Artbooking Collection!